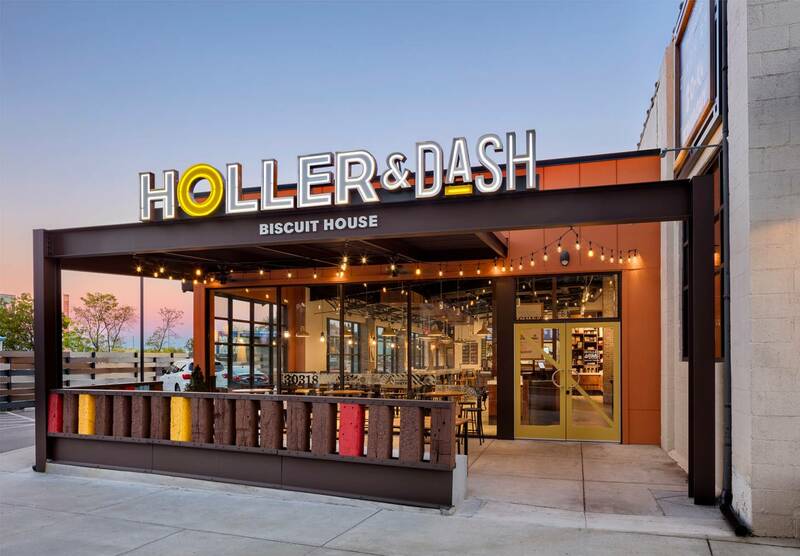 Holler & Dash, Cracker Barrel's fast-casual-dining cousin, is expanding rapidly enough, but the biscuit house wants to avoid all things cookie-cutter in the process. 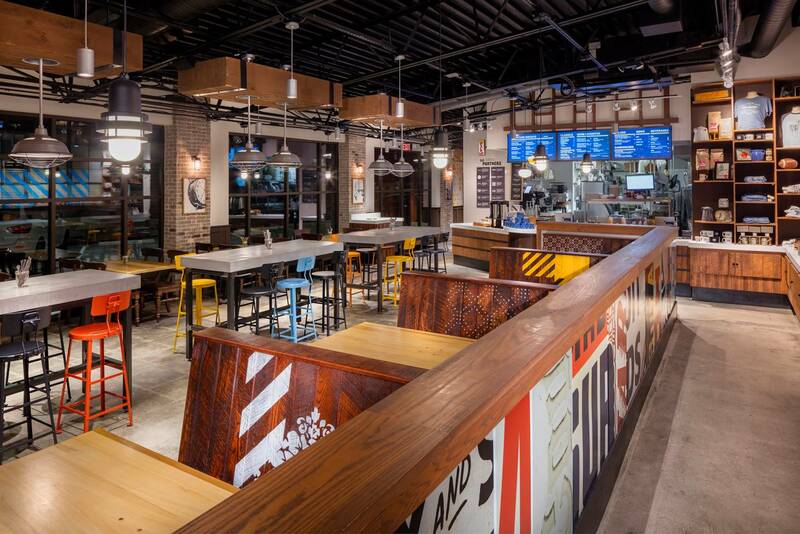 The chain takes pains to see that the designs of its restaurants are reflective of the distinct character of each locale. 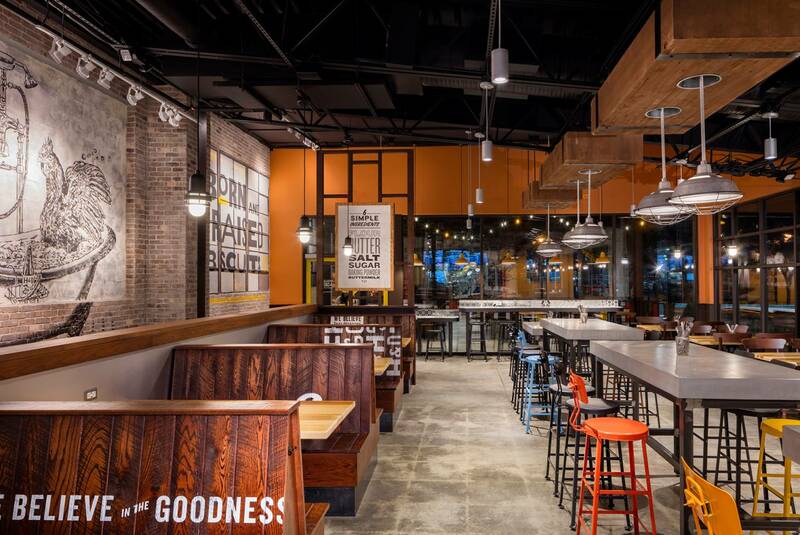 So when Holler & Dash began working on its sixth restaurant, in Atlanta, it tasked FRCH Design Worldwide with creating a localized design. 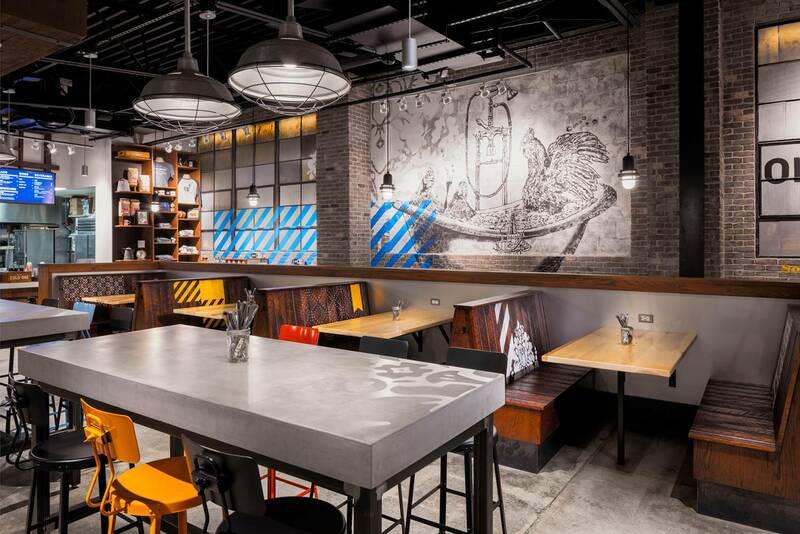 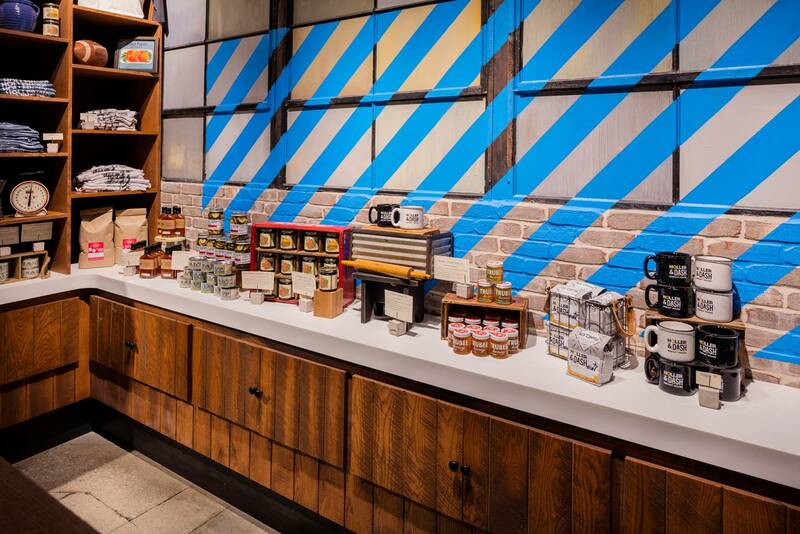 The company wanted to be able tap the local flavors while maintaining its brand personality, which typically includes bold graphics and hand-painted murals. 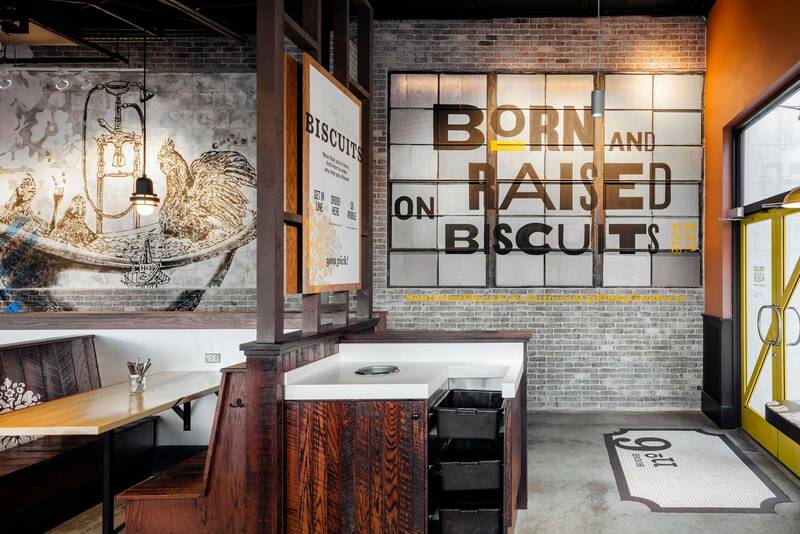 “One of the keys to developing the design language for Holler & Dash Atlanta was balancing the traditional aspects of the brand with the industrial attitude of the neighborhood — to welcome guests in an inspiring yet relatable place,” said FRCH design director Marty McCauley. 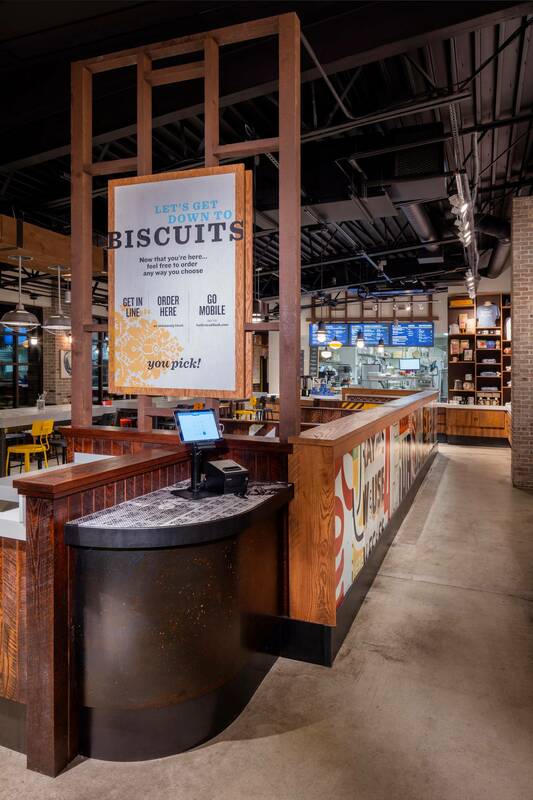 The firm was able to achieve that, McCauley says, by designing a 3,000-square-foot space that invites the neighborhood inside with a signature front porch, repurposed railroad ties and exposed beams framing the entrance.